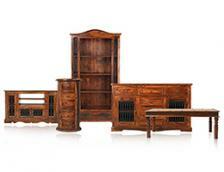 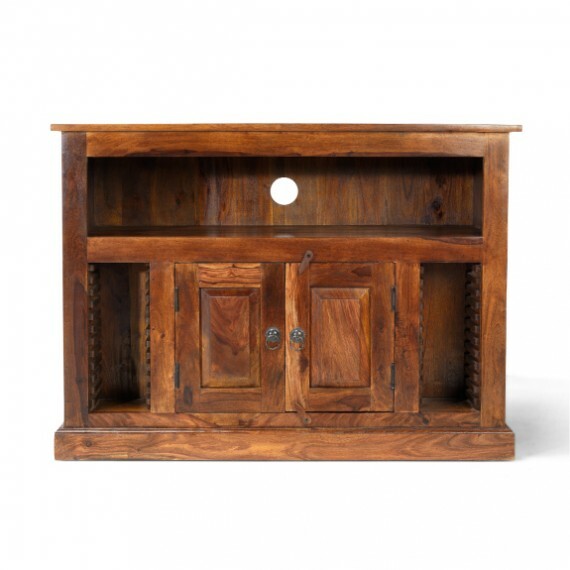 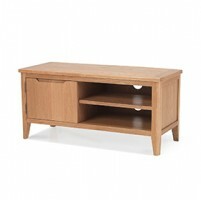 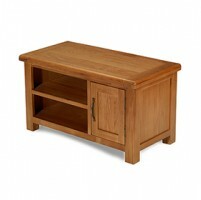 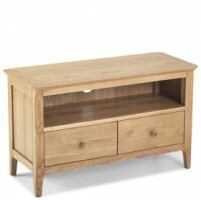 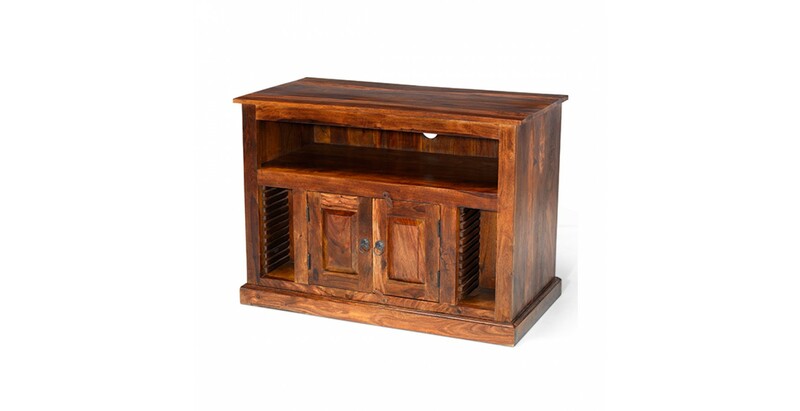 Traditional craftsmanship meets modern technology in this expertly handmade cabinet. 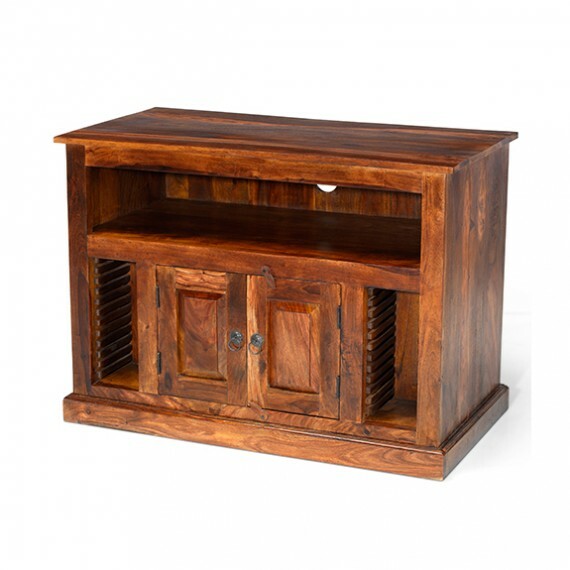 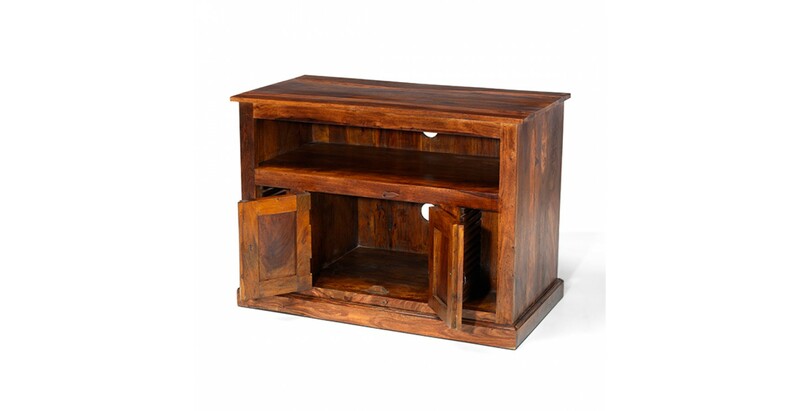 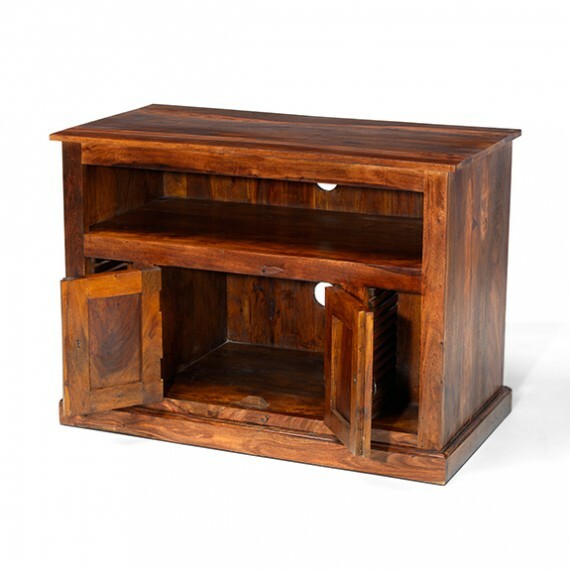 Built to last using Indian sheesham wood, there's room on top for your TV and a full width open compartment below for your DVD player. 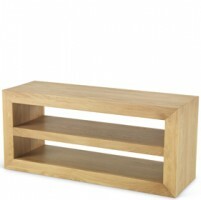 It also, rather uniquely, has tailor-made racks to hold DVDs or CDs plus a central cupboard for spare cables and other bits and bobs. 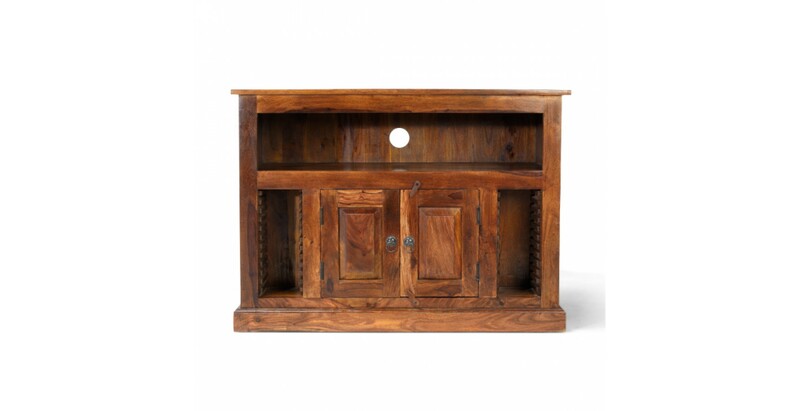 Reassuringly chunky, its distinctive dark-toned exotic appeal is enhanced by a Wax Lacquer Finish, and touches like the wooden latches and metal ring door handles add to its colonial-style charms.